Set your sights on a summer to remember. 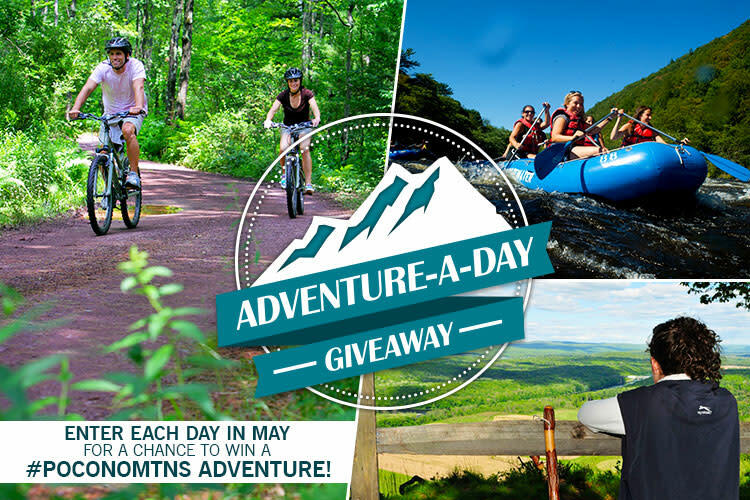 Enter to win a Pocono Mountains adventure every day in May of 2016! The Pocono Mountains’ Adventure-A-Day Giveaway brings you 31 thrilling adventures and 31 chances to win. Follow @PoconoTourism on Facebook and Twitter for daily giveaway announcements, and complete the entry form to get in on the action. Prizes range from whitewater rafting trips to stock car racing experiences. Contest ends May 31, 2016. Some restrictions apply. See official rules for details. Start planning your summer vacation today! Browse Places to Stay and Things to Do in the Pocono Mountains.